We are glad to announce that Alex Houser will be leading the All Blues WPL team as the head coach for the fall 2014 season, along with Jake Nelson as assistant coach. 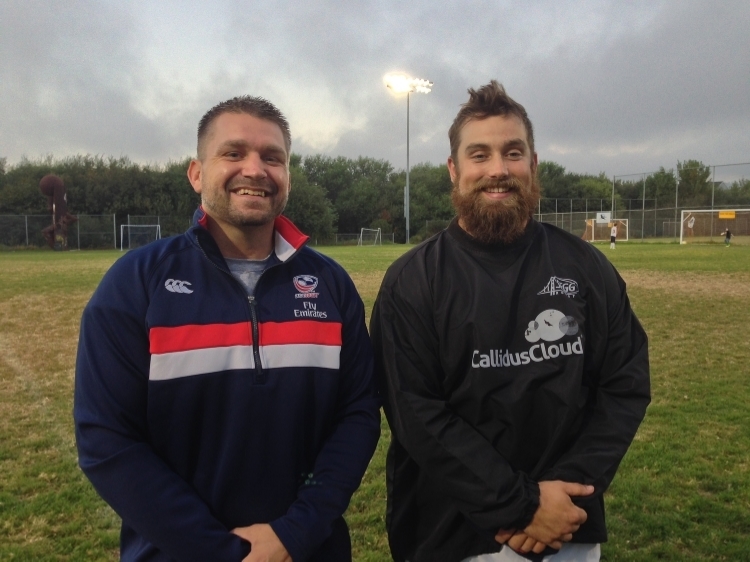 Both coaches have an extensive relationship with rugby, with both starting to play during their high school years. 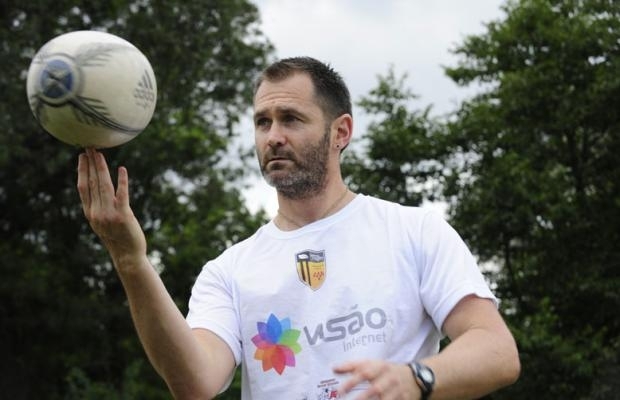 Alex, who comes in with five years of coaching experience, served as head coach of the SFGG Pacific Rugby Premier side that won their inaugural championship. Jake, a Premier League prop for SFGG, is returning to the All Blues family after serving as head coach for the Summer 7s team, which won a third place victory in the most recent National 7s Championships in Seattle, WA. Returning veterans Katie Chou and Sarah Davis will lead the team as captains. With solid leadership and spirit, the All Blues look forward to a great season ahead! Founded in 1978, the Berkeley All Blues is one of the elite women’s rugby teams in America. The Club has won a combined total of 16 National Championships in both 15’s and 7’s, including the recent 2013 Club 7s National Championship and 2012 Women’s Premier League National Championship. The All Blues Rugby 7’s program consists of approximately 40-50 women, dedicated to the club and the sport of rugby. The All Blues welcome athletes of all levels that range from novice to elite. Athletes from the All Blues are consistently chosen to compete on the Women’s National Team and Select Sides, and we currently have two athletes in residence at the Olympic Training Center in Chula Vista. The goal for our 7’s season is to compete at the highest level of rugby 7’s, with the aim to secure a third National 7’s Championship title. In addition we strive to foster the development of collegiate and senior club athletes. The Berkeley All Blues Women’s Rugby Club is currently seeking a Division II Head Coach beginning late January 2014 with the option to continue to serve as an Assistant Coach for the Women’s Premier League fall season. The ideal candidate is both able and committed to maintaining the club’s history of excellence and building a championship-level team. Founded in 1978, the Berkeley All Blues are one of the country’s top women’s rugby teams. The Club has won a combined total of 16 National Championships in both 15’s and 7’s rugby and is currently ranked second in the United States following the conclusion of the Fall 2013 Women’s Premier League season. The All Blues consist of approximately 40 women, dedicated to the club and the sport of rugby. The Club welcomes athletes of all levels and current players range from elite to novice in experience. The emphasis of the Club’s inaugural Division II season is to foster player development and promote team cohesion. Overarching goals are to recruit new players, enhance players’ technical skills, and promote veteran player leadership. Practices are held twice weekly on Tuesday and Thursday evenings in Berkeley, California. The Division II league match schedule is from February 1st to June 1st. Specific dates for match games are currently being set by the league. The spring season also consists of tournaments that the Club may participate in depending on the Division Two match schedule as well as player interest and availability. Previous playing and/or coaching experience is required; specific experience coaching women is preferred but not necessary. Coach must at minimum have a USA Rugby Level 200 certification. Compensation is negotiable and commensurate with experience. Travel expenses will be paid by the club. Please submit a coaching resume as well as a brief statement of coaching philosophy to allbluespresident@gmail.com by Friday, December 27th. Applications will be considered on a rolling basis.